Cash These Danielle Bregoli/Bhad Babie Memes Outside, Howbow Dah? Cash me outside is a meme that originated on The Dr. Phil Show when 13-year-old guest Danielle Bregoli challenged the entire audience to fight her. Bregoli was able to attain some level of Instagram fame following her television appearance, and she signed a record deal with Atlantic in 2017. 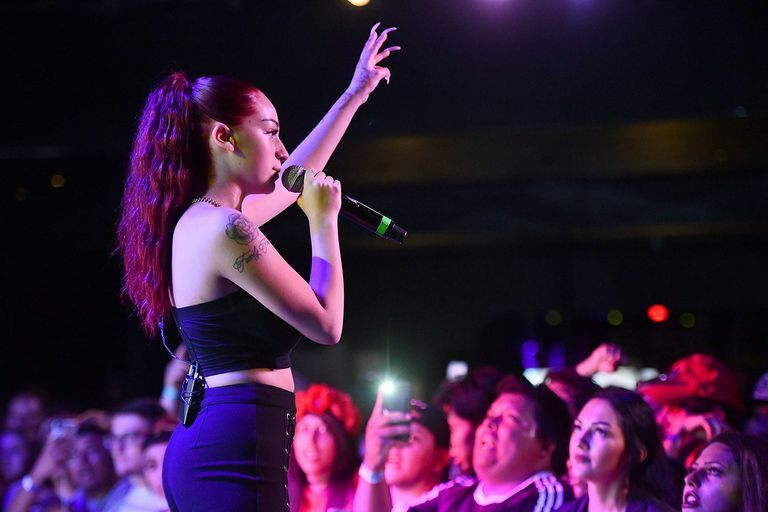 Her first track, released under the name Bhad Bhabie, reached number 77 on the Billboard Hot 100. The original clip where Bregoli used the infamous cash me outside catchphrase is still available on YouTube. The phrase "cash me ousside, howbow dah?" is essentially a challenge, but not all catch me outside memes are meant to be taken literally. A lot of cash me outside memes poke fun at Bregoli, some juxtapose her catchphrase with other memes or famous people or characters to humorous effect, and some are meant to be a play on words. The original cash me outside meme, and many others, can be used to issue a serious or comical challenge. In these cases, the user of the meme may object to something, or take offense to something, and want to suggest, usually in jest, that the situation be settled with a fight. When the cash me outside meme is connected with text that describes something the user is doing or feeling, it's usually meant to convey a combative or dismissive response. Other cash me ousside memes are merely intended to generate a laugh. Text: Cash me ousside, howbow dah? Meaning: The text is an exaggerated misspelling of "catch me outside, how about that," which can be translated to "How about we go outside and fight?" When used as a reaction image, the implication is that the user disagrees or disapproves of something and wants to fight about it. Additional text: When the weather is nice, and my friends ask me what I'm doing today. Meaning: The user is implying that her friends asked a dumb question, so they get a dumb answer. It's nice outside, so they will be able to catch her outside. Similar uses of the meme typically imply that the user is dismissive or feeling combative. Text: Cats meowside, how bow dah? Meaning: This is a humorous combination of the cash me outside meme with an image of a cat that appears to be confidently strutting his stuff. This meme could be used to issue a joking challenge in response to a disagreement or to get a laugh. Can I Ask Fur a Rain Check? I'm not feline well today. Grocery shopping is more difficult for some people than it is for others. At least she finally made it out of the grocery store. When even Fred Rogers has had enough of your nonsense, it's probably time to reevaluate your life. Catch you outside? Like with a butterfly net? Oh, okay, like a Pokemon. Seriously, Tom, you had, like, ONE job here.